McALLEN — Often, the development of standout resources in a growing city begin with an individual who wants to do just a little more. Such is the case for the story behind the International Museum of Art & Science. 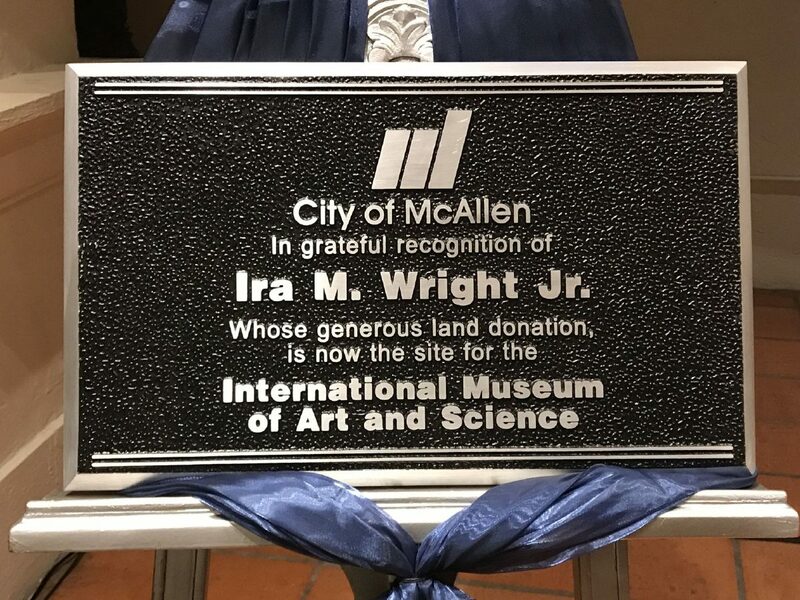 In a ceremony hosted inside the museum Friday morning, the memory of the late Ira Wright was honored with a plaque presented to members of his family, including his three children, grandchildren and great-grandchildren. Wright donated the land where the museum now sits. The donation in 1976 led to the building of a facility that now receives approximately 70,000 visitors every year. After enlisting in the Navy at the age of 18, Wright returned home to McAllen where he met his wife and started a family. 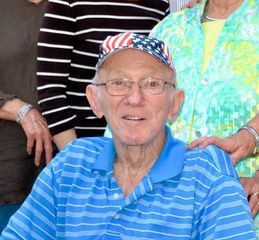 According to his granddaughter, Taylor Fogle, Wright kept his own collection of art, which included wildlife oil paintings and bronze sculptures. She recalled regular weekly visits and Wednesday dinners with her grandfather and the family. Her mother, Karrie Fogle, tearfully delivered a speech about her father and recalled, along with her siblings, helping her father clear land during his time in real estate. Other longtime friends of Wright, Jeanean Pollock and Jack Bloomfield, attended and shared some memories. Through childhood, Bloomfield lived two blocks away from Wright in Edinburg. From the age of 12, he recalled, Wright worked alongside his mechanic father in his garage and would often miss out on activities other teenagers were doing, which helped establish his work ethic. Another memory of Bloomfield involved the pair experiencing car troubles during one of the times they spent together, often hunting. Wright completely deconstructed the carburetor, screw by screw, and got the vehicle running. Pollock agreed and described Wright as wonderful, generous and a self-made business man. The friendship began in eighth grade and they often double dated, Wright partnering with her best friend. “We remained friends always,” she said. 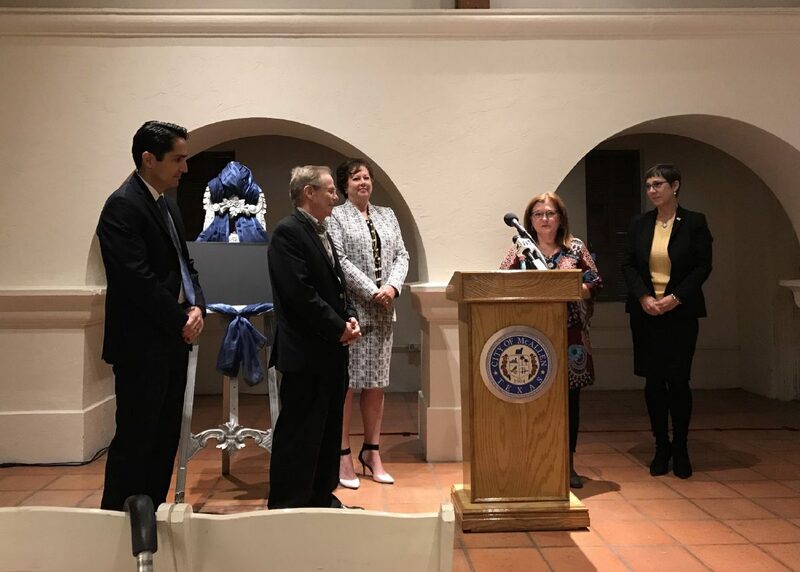 A number of city officials attended, including Mayor Jim Darling and City Manager Roy Rodriguez, who spoke about the importance of our public works and called the museum “a gem in our community.” IMAS President Serena Pandos recognized him as the driving factor that made the dedication possible. While weather prevented on-the-spot installation, the plaque was later installed near the front entrance where its prominent placement will make it easily seen by visitors for years to come.